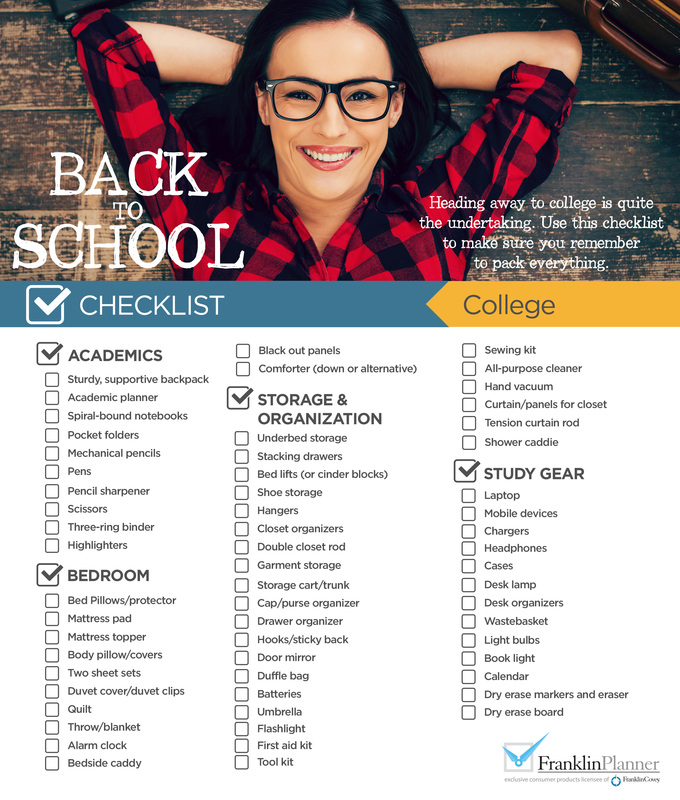 When you have students heading back to school, it can be hard to remember everything they need, especially if you have students at different stages of their education. 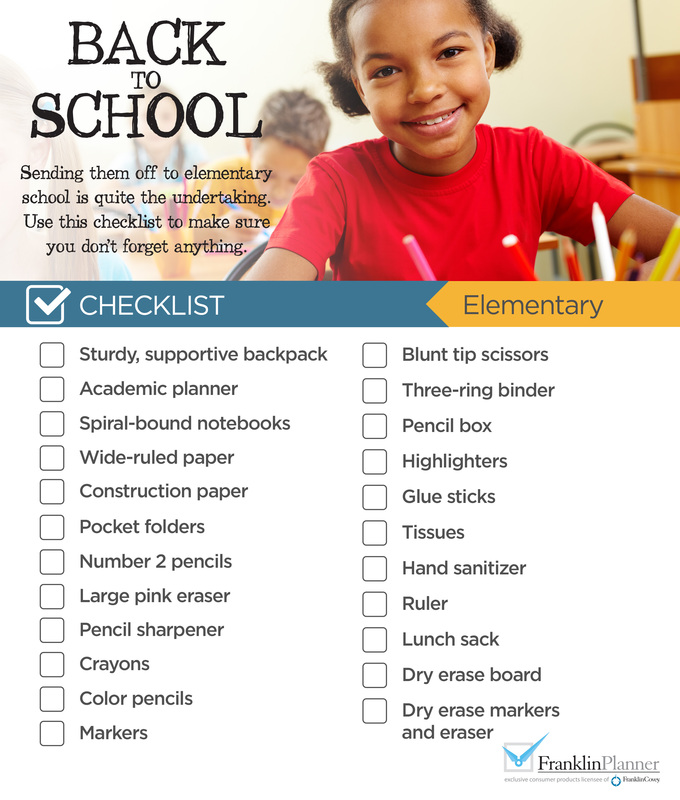 We’ve continued our annual tradition of back to school organization with these helpful checklists, with one for each stage of your child’s schooling. 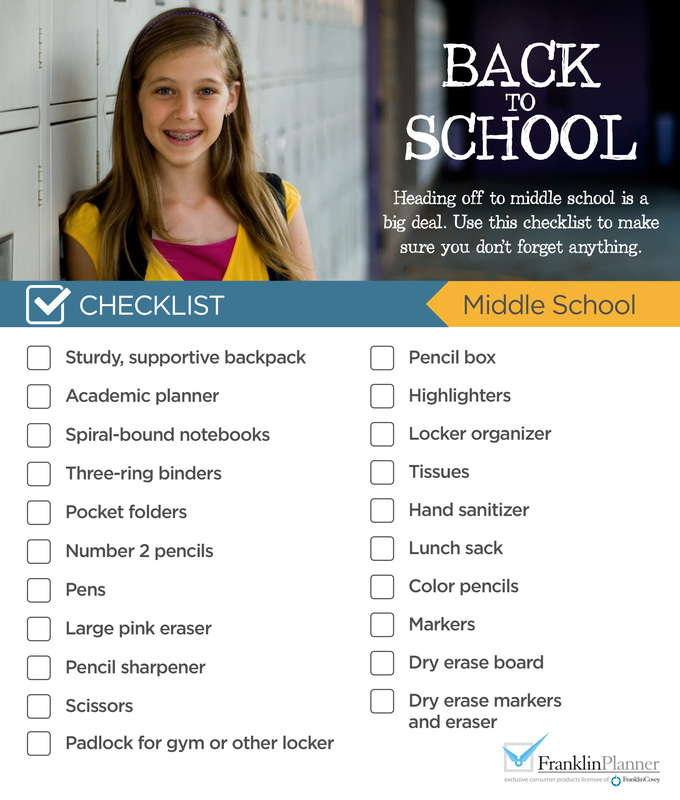 Print them out, place them in your planner, and take them with you as you go back to school shopping. You’ll save yourself extra trips and enjoy the peace of mind that comes from preparation. 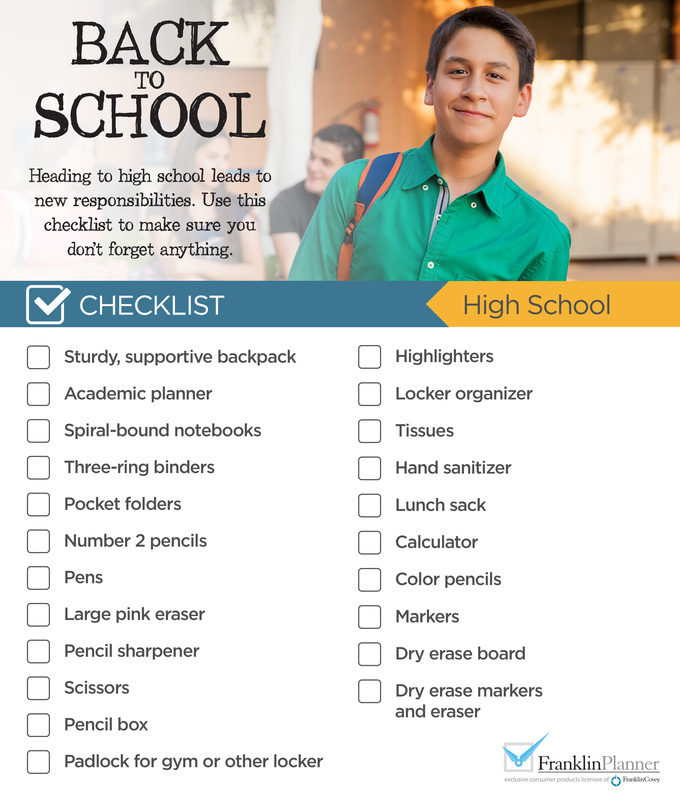 Your Back To School Checklists always streamline life in a big way! Our family developed a School Orientation Day or \”First Day\” Checklist too, that\’s helped sync all the tasks and assure a complete inventory to make this busy, special day pleasant and memorable for everyone. Our list keeps our own annual school registration file package intact and legible, and never a misplaced or outstanding item. We included: Administrative forms, Enrollment docs, Medical update, School Office, Nurse, and Library hours, Tuition, Textbooks, PTA contracts, Club and Team items, Fund raiser/Reward program info, School photos, Student ID, Parking stickers, School wardrobe/uniforms, Locker assignment, School Planner and Classes schedule, Passwords required, Lost & Found, Security & Safety info, Volunteer Schedules, Teacher syllabi, Classroom special supplies, Important dates, contacts updates.